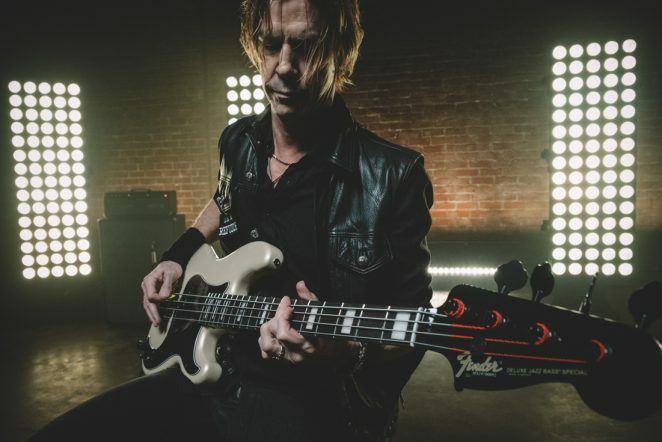 Fender Musical Instruments Corporation (FMIC) this week released the Duff McKagan Deluxe Precision Bass® the latest iteration of Fender’s collaboration with the Guns N’ Roses bassist and New York Times bestselling author. The newest model in Fender’s Artist Signature Series captures the true musical essence of Rock & Roll Hall of Fame inductee McKagan. Best known for his work with Guns N’ Roses and Velvet Revolver McKagan has had an epic music career, entertaining and inspiring countless fans. Now, with the Duff McKagan Deluxe Precision Bass, he will continue influencing the industry with a bass guitar that epitomizes rock culture and caters to his unique, melodic playing style that’s impacted bass players and music-lovers everywhere. The Duff McKagan Deluxe Precision Bass is based on the ‘80s Jazz Bass Special he used while recording Appetite for Destruction. An evolution of his signature model, this bass adds all the features and stylistic touches that Duff loves. The black painted Modern “C”-shaped quartersawn maple neck has a “Deluxe Jazz Bass Special” headstock logo and rosewood fingerboard with pearloid block inlays, along with the number “12” at the twelfth fret. A must-have for live performance, the Hipshot® Bass Xtender allows instant Drop-D tuning with the flick of a lever. Duff’s signature sound comes from pairing a Fender vintage-style Precision Bass split-coil pickup with a Seymour Duncan® STKJ2B Jazz Bass single-coil bridge pickup. This thunderous tone can be shaped precisely by the Fender TBXTM (Treble/Bass Expander) tone circuit. Additional features include a Pure Vintage ‘70s bridge and a Duff skull-and-crossbones neck plate. A deluxe gig bag is also included. New features inspired by the legendary bassist’s preferences include: instant Drop-D tuning, tonal versatility from a TBXTM (Treble/Bass Expander) tone circuit and a sleek black-painted neck with pearloid block inlays and binding. The signature bass also features a Pure Vintage ‘70s bridge and, as a special touch, a neckplate adorned with Duff’s signature skull-and-crossbones artwork. McKagan also recently announced the upcoming release of his much-anticipated solo album, Tenderness, which was produced by and features Grammy® award-winner Shooter Jennings, as a musical follow-up to 2015’s best-selling book, How To Be A Man (And Other Illusions). McKagan and Jennings began recording in March 2018, working out of Station House studios in Echo Park, Calif., where they wrote and recorded in-between McKagan’s tour with seminal rock band Guns N’ Roses and the release of Jennings’ eponymous album, Shooter. 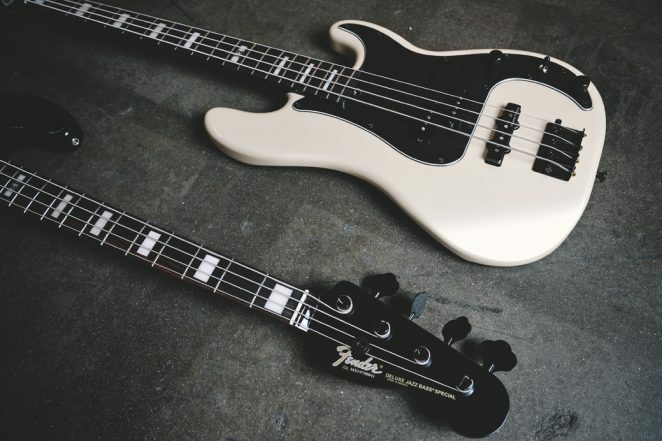 For additional information on new Fender products or to find a retail partner near you, visit www.fender.com. Join the conversation on social media by following @Fender.